Polly and Buster have always been friends – but their friendship has to be a secret, because witches like Polly are not supposed to be friends with monsters like Buster. Being secret friends isn’t their only problem. Polly is struggling at school, because none of her spells ever work, and Buster is hiding a secret: he gets bigger or smaller depending on his emotions, which is very un-monsterlike. When their classes cross paths on a school excursion, their secrets are in danger of being revealed, and Polly has to choose between being suddenly popular, or being true to herself – and her friend. The Wayward Witch and the Feelings Monster is the first title featuring witch Polly and monster Buster, and young readers will adore the characters, the story and the format: hard cover with gold trim and black and white illustrations. While the story is self contained, readers will be keen to know what happens net and will eagerly await the next installment. My name is Christy but nobody calls me that. I’m in the same class with another girl named Christie, so I’ve become just the other Christy, the spare Christy. Not the popular, loud one everyone likes. Christy Ung has been on the outer ever since she arrived in Australia. Every year she is put in the same class as Christie Owen, and that makes Christy the other Christy. Christie Owen is loud and popular – but she’s also mean, especially to Christy. Christy, meanwhile, has no friends, and her classmates don’t even seem to notice her. The only people who seem to care are Auntie Mayly and Grandpa, who is really strange, and whose main passion in life is cleaning. With such a strange home life, Christy wonders if she will ever be able to make a friend. The Other Christy is a humorous but touching story of searching for friendship an fitting in, dealing as well with issues of immigration and bereavement. Christy is being raised by her Grandfather after the death of her mother in Cambodia, and is keenly aware of the differences between her own homelife and those of her classmates. Christy is a likeable protagonist, and the resolution is satisfying. She blows a kiss, then the screen goes blank. And, suddenly, I’m back to being alone with my thoughts. As much as I’m happy for her, it’s really hard seeing her life unfold while mine stays still. I only have to wait a year. As soon as this year is over, I’ll be able to get out. Out of my school, out of my home, out into the real world, and on to the rest of my life. Gillian is the only one who actually wants to be on the yearbook committee. 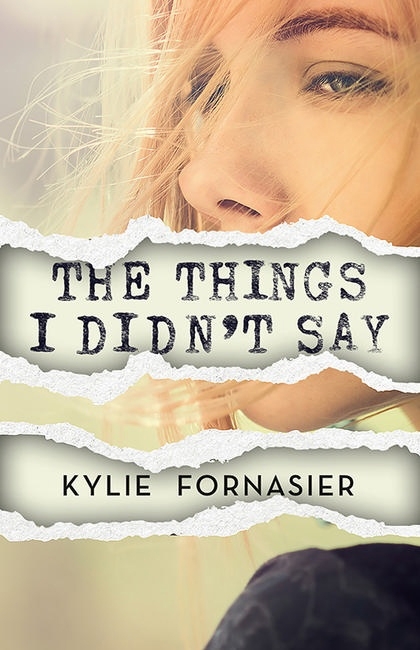 With her best friend gone, her Dad’s political career seeming more important than his daughter, and the unwanted attention of bully it-girl Lauren, being on the committee could be the only good thing happening in her life. The other members aren’t so sure. Matty’s a loner with a terrible home-life, Ryan is the school captain but his imagined future as a soccer star has been wrecked by an accident, Tammi’s only there because Lauren wants her to spy, and Charlie is new to the school and wants to be back in Melbourne, where she belongs. They are five very different people, but it’s their job to catalogue one final year. 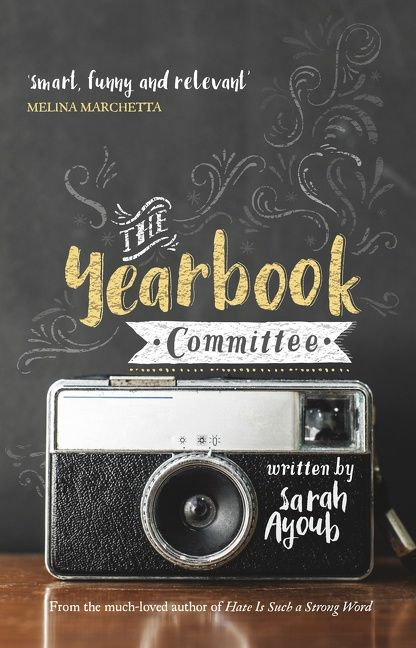 The Yearbook Committee is a multi-voice novel which follows these five unlikely partners as they traverse a difficult year both in and out of school. Their enforced time together results in new friendships as well as new challenges as members of the group face a range of problems including cyberbullying, parental expectations, a mother with crippling depression, shattered dreams and much more. While the use of five first person viewpoint characters means it takes a little while to get to know who’s who, but each voice is distinct and as the story progresses the reader is taken inside each teen’s life, and, by novel’s end will really care what happens, and to whom. Harry takes a seat, all alone, and in one quick second, grabs a palm-sized sketchpad he’s got wedged between his jeans and stomach, and pulls a small HB pencil from behind his ear. He starts to draw quickly, nervously checking that he’s not being watched. Harry knows everyone thinks skating is cool, but he also knows that his best friends think drawing isn’t. Harry loves hanging out with his mates – skateboarding, or camping, or swimming at the pool. But he has a secret – he also loves to draw, and is pretty good at it, too. The problem is, his mate Gav thinks art is dumb, and Harry really wants to be cool. So he draws in secret, and doesn’t tell anyone what he’s doing– until he sees an advertisement for the local art competition and knows that he has to enter it. 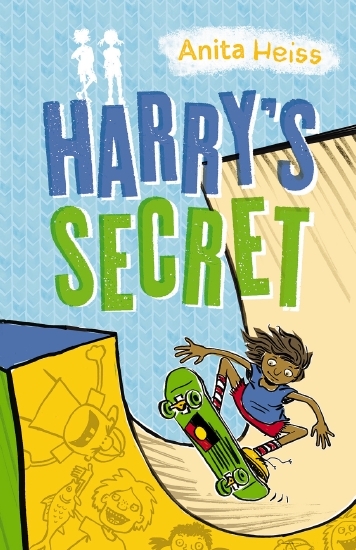 Harry’s Secret is an upbeat novel for junior readers. Harry and his friends are funny, warm-hearted and energetic, always on the go and looking out for each other. Harry’s dilemma is one many kids will relate to – whether it’s an artistic talent or some other hobby or ability that they fear being teased for.